Search Engine Optimization normally isn't a one time thing, it's an ongoing process that requires monitoring of keywords, competition and more. The degree of SEO a site needs is dependent on how it was designed, how many back-links it has and much more. 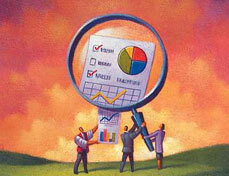 A couple professional paid Search Engine Optimization Tools are SEOmoz PRO and Wordtracker. Listed below are a few free web based SEO tools that may help ypu optimize your website. All links open in a new window so to return to here, simply close the new window.